Born in Paraguay and raised in Argentina, Fabiana Fadlala-Poulis has been teaching ballet for over 20 years. She received her training at Estudio Coreografico Bonnin, the Teatro Colon and received her Masters in Ballet Pedagogy from the School of the National Ballet of Cuba. She studied under Olga Ferri, Miguel Bonnin, Ileana Balmori and Raul Candal. Fabiana danced professionally with the Teatro Municipal de Asuncion, Teatro General San Martin, Ballet Arlington and Ballet Concerto. 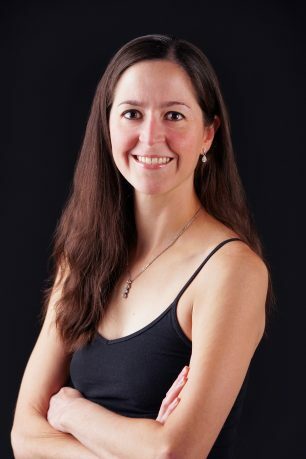 Fabiana has taught at the Margo Dean School of Ballet in the Dallas/Fort Worth area and Ballet Conservatory in Lewisville, TX where she also served as the assistant director of Lake Cities Ballet Theatre II. Her choreography for YAGP, “It’s a Good Day”, placed 2nd in the regionals and performed in the finals in New York. She also served as the Outreach Coordinator for the Desert Youth Ballet Foundation, taught for the Arizona School of Classical Ballet, Tempe Dance Academy, The Louisville Ballet and served as the ballet mistress for the Louisville Ballet Youth Ensemble, Sacred Heart School for the Arts in Louisville, KY and Wynn Twins School of Dance in Kansas City, MO. She has been a sought out guest teacher throughout the United States and South America.